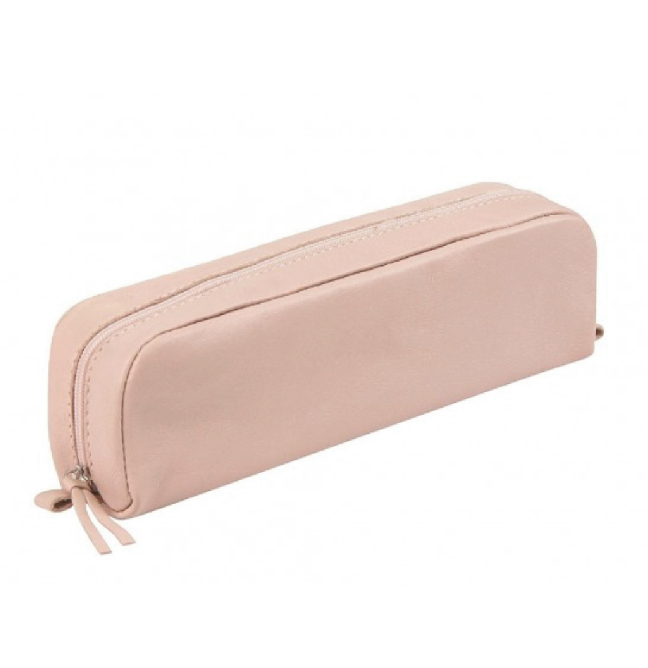 Rectangular leather pencil case from Clairefontaine. Made with genuine, superior quality leather that is soft and pleasant to the touch, and with vegetable tanning using mimosa and quebracho extracts. Made without chromium or arsenic. Zip fastener opens three quarters of the way round to enable easy selection of the contents. Suitable for up to 20 pens or pencils, depending on size and type. Approximate dimensions: 220mm long x 45mm wide x 55mm deep.